USED SAFES and FIREPROOF FILES also available. Call 815.877.8200 or contact us for current selection. If you are looking for office furniture in Milwaukee, then you are at the right place. Today, there are endless distributors and manufacturers that are offering their products online. This is the best way to view all of the pos sible alternatives you may have available before you purchase anything. Unlike offline stores, the fixtures you can find in the place are nearly limitless. Michalsen Office Furniture sells safes that are built the old way—heavy and tough! Our safes are built up to a standard, not down to a price. Michalsen Office Furniture has in-store inventory of most models and colors for CHAMPION Safe brands. Just follow the links to their factory website pages for complete product descriptions and fireproof ratings. Then check with Michalsen’s for fast delivery and bargain discount pricing. Michalsen Office Furniture is the largest safe dealer in Northern Illinois and Southern Wisconsin. We have the safe you need at the price you want today! 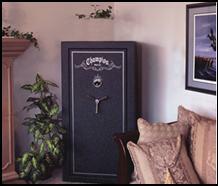 Safes have become the new “must-have” home security appliance. 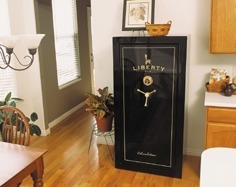 In today’s marketplace, not all safes are built equal. The security offered by cheap, lightweight safes is often little more than illusion. Deceptive looking boxes lull many buyers into a false sense of security. Remember in the old movies how the bank robbers used dynamite to blow up safes? Those were heavy, tough safes—too tough to break into using conventional tools. Unfortunately, dynamite is no longer needed to enter many of today’s lightweight home safes —all a thief needs is a couple of large screwdrivers. there’s a window for champion safes here, but im not sure how to make it appear here like it does on their old site.